Gem is a line of low speed vehicles that Polaris designed and developed to be a cross between a golf cart, van, and even truck. Polaris is a recognized company that started off as a mechanical shop, and has grown into one of today’s largest Powersports companies. The company has recently expanded into the production of commercial and military vehicles, and to date, Polaris’ range of products include: all-terrain vehicles, side-by-side vehicles, snowmobiles/snow bikes, mid-size and heavyweight motorcycles, commercial utility vehicles, and light-duty haulers. The company currently employs more than 8,000 people, and has a presence in more than 100 countries worldwide. The Gem low-speed vehicles offer safe, comfortable, economical, and sustainable low speed golf carts for your needs. Get your own Gem low speed vehicle today! For any inquiries or concerns, feel free to drop a note in our site and we would be more than happy to assist you. The Gem E4: The Gem E4 is a spacious four-seater golf cart that offers maximum comfort and safety with its bucket seats and disk and hydraulic drum (front and rear) brakes. It runs on a 6.7HP motor and four 12V flooded electrolyte batteries that can be customized to fit your range requirements. It runs on a maximum speed of 25mph and even has a payload capacity of 1,150lbs. The Gem E6: If you need a bigger low speed golf cart, then the Gem E6 is the right one for you – having the seating capacity for six passengers. Comfort and space are its chief consideration with its bucket seats, adjustable front seats, ample leg space, and under-the-seat storage capacity. It runs on an 8.7HP motor and 6V flooded electrolyte batteries. 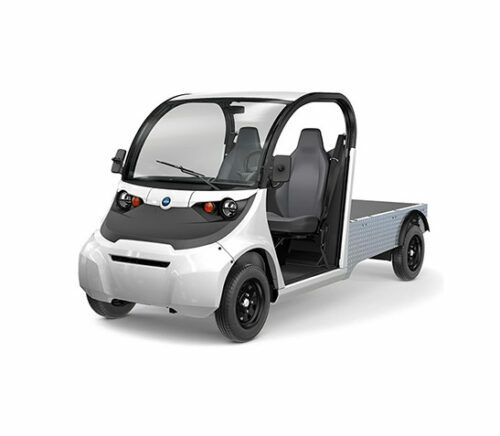 It has a maximum speed of 25mph and even has a cargo capacity of 330lbs with an optional S-bed. The Gem eL XD: Those who are looking for a cargo carrier will love the Gem eL XD’s sturdy built and huge payload capacity of 1,400 lbs. It runs on a powerful 8.7HP engine and eight 6V flooded electrolyte batteries – which ensure that speed is not compromised. Its customizable carrier and bed options will also surely fit every hauling need. 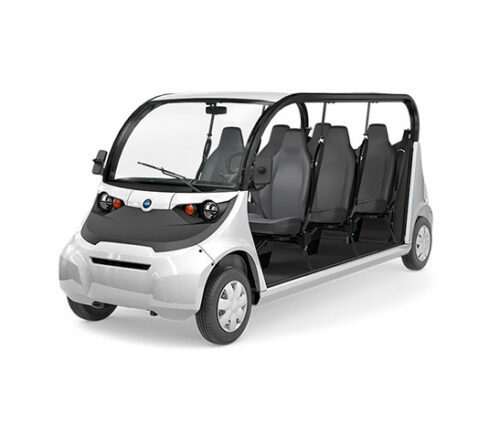 The Gem E2: The Gem E2 is for those looking for a compact yet comfortable low-speed vehicle. 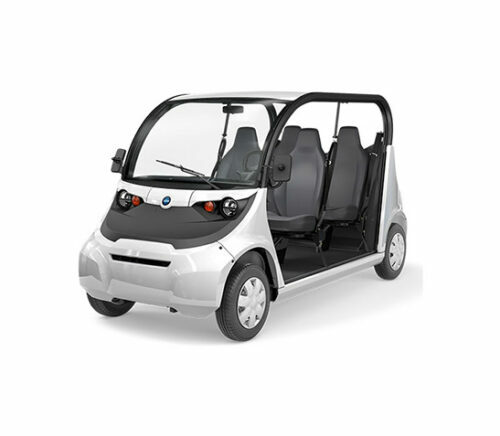 It is a two-seater golf cart that has comfortable bucket seats and spacious interiors, giving you a relaxed driving experience whether in the golf course or in the city. The Gem E2 runs on a 6.7HP motor, and four 12V flooded electrolyte batteries that can be customized based on your range requirements. It has a maximum speed of 25 mph, and even has 300 lbs. cargo capacity with optional S-bed. The Gem em 1400: Heavy haulers will love the Gem em 1400 with its impressive payload capacity of 1,250 lbs. Its rugged, Jeep-like design is guaranteed to turn heads wherever you go, plus its state-of-the-art suspension and 4-wheel hydraulic disc brake system are sure to give you a pleasurable driving experience. At the same time, its efficient 48V battery systems allow you to travel up to 45 miles on a single charge. Gem em 1400 – Box Sides: Another option for heavy haulers is the Gem em 1400 – Box Sides. It has an even bigger payload capacity at 1,400 lbs. and offers the option of a steel flat bed that allows you to haul anything, anywhere. It has a powerful 7 HP AC motor under its hood that allows you to reach maximum speeds of 19mph, and 4-wheel hydraulic disk brakes to ensure a safe ride.